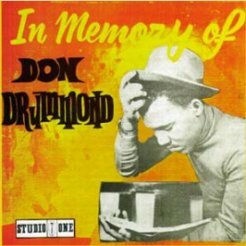 Interesting collection of Ska tracks by Don Drummond on Studio One. About half the tracks are new to CD. It is unclear if this is the only CD with "Marcus Junior" and not the listed track "Lawless Street"???. Which is a better version than on the More Intensified Vol. 2 on Island, which was dubbed from disc. It has the magnificent "Throughfare" and Don Drummond at his best, great Ska and this track produced by Duke Reid. A good collection and well worth seeking out. On Studio One CD-8021 (USA).